As well as the research topics below, we continue to persue some of the research projects detailed in Past Research. Our research is primarily experimental but has a strong theoretical component as well. As society approaches the ultimate limits of computing and communication we will reach a point where each particle we use, electron or photon, carries one bit of information. Science is now becoming adept at manipulating individual quantum particles. The limits in sensitivity, speed, power, etc. of the various devices that we would use these particles in are set by the strange laws of Quantum Physics. The careful control of quantum particles will allow us to build sensors with dramatically higher sensitivity (Quantum Metrology), computers than can solve intractable problems (Quantum Information), and the first provably secure communication systems (Quantum Cryptography). The eventual goal of this research topic is to create these potentially revolutionary devices. Miniaturization in the electronics industry has culminated in microchips made up of billions of gates that act as the brains of most electronic devices today. 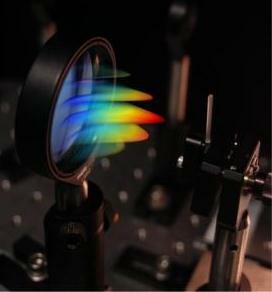 Leveraging this technology built for electrons, we can now create microchips for photons as well. 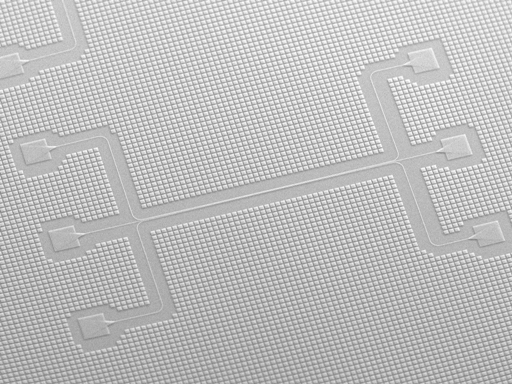 Known as integrated optical chips, these will drive the invention of new medical and environmental sensors and future telecommunications systems. Whereas these applications are mainly based on the classical optics of the last century, our laboratory is developing new kinds of photonic chips that function via the quantum physics of light, ‘quantum optics’. The long-range vision is to be able to implement the complicated circuits required by quantum algorithms. In the short-term, we are trying to create small-scale Quantum Information Processors and Quantum Metrology-based sensors on a chip. To achieve the potential of Quantum Information and Metrology it will be necessary to develop new and better kinds of sources of single and entangled photons. We are designing and building waveguide sources of photons (through spontaneous four-wave mixing) that are compatible with integrated photonics. We are also building free-space sources in new geometries to produce novel kinds of entangled photon pairs, such as radially polarized photons, or photons with orbital angular momentum. As the fields of photonics and Quantum Information mature, detectors of quantum light are becoming more sophisticated and complex. We are designing, developing and/or characterizing optical detectors that can, for example, count photons, image quantum light, detect quantum coherence directly. The study of Quantum Information has reinvigorated the effort to understand the fundamental concepts of Quantum Theory, such as measurement, the wavefunction, and entanglement. We are working to provide insight into these concepts by providing them with operational meanings. That is, definitions in terms of a simple set of operations in the laboratory. In turn, these operational meanings can inspire new applications and techniques in Quantum Information (i.e. how to measure the wavefunction). We are exploring the use of generalized measurements (e.g. weak measurement) as practical tools in metrology, optics, and Quantum Information.